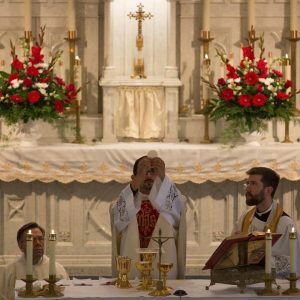 What it is that defines the Catholic Church? Like all things, the Church has an identity which comes from her characteristics. Four of these characteristics we call the marks of the Church since they are the unchangeable essence of what the Church is. She is one, holy, catholic, and apostolic, and in this episode we discuss these four marks and their part of the Church’s identity. Fr. 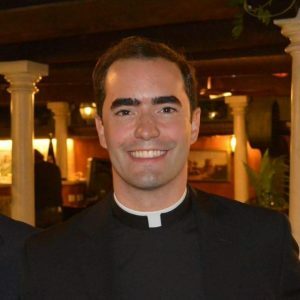 Nathan Ricci grew up in Warwick, Rhode Island and is a priest for the Diocese of Providence. Fr. Ricci received his B.A. in Political Science and Philosophy from Providence College in 2012 and was a Smith Fellow at Blackfriars Hall, University of Oxford, in 2011. He is currently pursuing a licentiate in Canon Law at the Pontifical Gregorian University in Rome. In his free time, Fr. Ricci enjoys long distance running, traveling, reading and writing, and is an avid fan of Italian cuisine.